2016 marks the beginning of a new structure for FMS Ultimate— we are now running two different teams, Intramural and Travel. FMS Intramural is designed for athletes playing other sports and those interested in trying out ultimate and meets just two days per week. FMS Intramural players will have a short practice each session before playing full games of ultimate. FMS Intramural practices will be scheduled as much as possible to fit around baseball, track, and lacrosse practices and games. 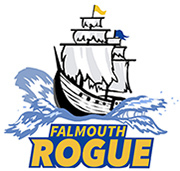 FMS Travel, now known as Falmouth Rogue, is for players who are ready to fully commit to ultimate as their primary sport. FMS Travel players will play on the FMS Intramural team and will have additional practices or games three days each week for a total weekly commitment of five days per week. FMS Travel players will play in tournaments both in Maine and one in Massachusetts in addition to games against local teams. FMS Travel will begin during the week of 3/27 and has a deadline to signup of 4/1. FMS Intramural will begin at the end of April and has no signup deadline. Both teams will end their season during the first week in June. To register up for either team, please visit our player registration page.